The no-confidence motion moved by the Joint Opposition against Prime Minister Ranil Wickremesinghe is scheduled to be taken up in Parliament on April 4, 2018. The resolution is primarily based on the issues revolving around what has come to be popularly known to as the “bond scam” involving former Central Bank Governor Arjuna Mahendran and company. Almost as an afterthought and for good measure the Joint Opposition has in the No-Confidence Motion thrown in a clause faulting the Government for the recent violence against Muslims in the Central Province. Before commenting on the two sets of allegations it is necessary to describe the context in which the current Government was formed and how it has functioned. This is neither an SLFP nor UNP Government. It is a Government which was born out of the need to halt the authoritarian direction in which the country was heading and to replace it with a Government with a set list of objectives under the broad theme of Good Governance and the creation of a civilized society. The inspiration for this Yahapalana movement was given by the late Venerable Maduluwawe Sobitha Thero who tirelessly gave the leadership to civil society and campaigned for changes to democratize governance and Constitutional Reform including the abolition of the Executive Presidency. The Venerable monk put forward the concept of a common candidate to ensure the defeat of the Government of the day. It is in pursuance of this objective that a range of stakeholders from civil society organizations and political parties came together to put forward Maithripala Sirisena as the common candidate. Those who are in the know would vouch for the fact that Ranil Wickremesinghe and the UNP were very keen to contest the Presidential Election of January 2015 and it took a great deal of persuasion by leading political figures for the current Prime Minister to give way to Maithripala Sirisena as the common candidate in the larger interest of the country and to make doubly sure that President Mahinda Rajapakse was defeated in his bid to secure a third term. It is therefore totally incorrect for Minister Faiszer Musthapha to claim as he did at a Press Conference last Thursday that the UNP supported the President at the last Presidential Election for selfish purposes and because they were unable to find a suitable candidate. 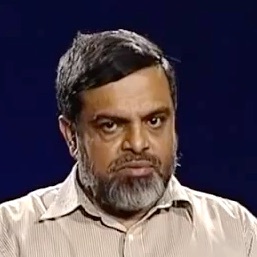 In any event Faiszer Musthapha is hardly in a position to comment on this matter as he took wing to Singapore and spent several days there during the heat of the campaign and only announced his support for Maithripala Sirisena a few days before January 8, 2015 after making sure which way the political wind was blowing. The primary burden of the campaign and its organization was carried out by the UNP and Ranil Wckremesinghe as only a few SLFPers like Dr. Rajitha Senaratne, Duminda Dissanyake, M.K. de S. Gunawardena, Arjuna Ranatunge and Wasantha Senanayake left the Government along with Maithripala Sirisena. The UNP and its leader thus not only made a big sacrifice in agreeing to forego the chances of taking over the leadership of the country by giving way to Maitripala Sirisena as the common candidate for the Presidential Election of 2015 but also worked tirelessy to ensure his victory. Other SLFPers joined the Government and accepted Ministerial portfolios in the Cabinet with Ranil Wickremesinghe as Prime Minister only on the basis of a Central Committee decision following President Maithripala Sirisena’s request. Not all of them, however, genuinely committed themselves to the Government and continuously violated collective responsibility by publicly criticizing the Prime Minister whenever they chose to do so and attempted to show they were the ‘good guys’ in Government and that all the bad decisions were made by UNPers. They deliberately and conveniently forgot the truism that the entire Government had to take responsibility for both its achievements and shortcomings and that one party alone could not claim credit for the positives while disassociating itself from the negatives. In fact an examination of newspaper interviews, reports of meetings and TV talk shows during the past three years clearly show that the responsibility of defending the Government was shouldered entirely by UNP Ministers and MPs. The UNPers including Prime Minister Ranil Wickremesinghe have showed a great deal of respect and loyalty to President Maitripala Sirisena always referring to the Government as one headed by the President. In turn many of those SLFP Ministers who are supporting the no confidence motion returned the compliment by continuously criticizing the Prime Minister and the UNP in public. President Maithripala Sirisena has repeatedly recounted an incident where he raised the issue of corruption at an officials meeting during the tenure of the previous Government . He stated that he was summoned the next day by President Mahinda Rajapakse and told that he could not raise such issues while remaining a Minister of the Cabinet. According to President Sirisena that was the day he decided that it was time for him to part ways with the Rajapakse Government. The self same Ministers who tamely served in the previous Government and conformed to its rigid authoritarianism without uttering a whimper of protest whenever wrong doings took place are having a free run and acting as if they are bold heroes by misusing the democratic space available under this Government which they not only played no part in electing but in fact worked very hard to prevent being elected. Coming back to the contents of the No Confidence Motion itself the allegations against the Prime Minister go somewhat like this. He invited Arjuna Mahendran (a Singaporean National albeit of Sri Lankan origin) and made him the Governor of the Central Bank. He took the Central Bank under himself when it was always under the Ministry of Finance. He asked the Governor to change from the private placement system of issuing bonds to the public auction system. All these were considered and ruled on by the Presidential Commission that probed the bond scam which cleared the Prime Minister of any financial wrongdoing in relation to the Bond scam. In fact none of the Prime Minister’s political and personal detractors have dared to accuse him of any financial impropriety resulting from the bond scam. In fact those who accuse the Prime Minister forget that there have been others like Gothabaya Rajapaksa (US citizen), Basil Rajapakse (US citizen), Udaya Weeratunga (Ukrainian citizen ) and Jaliya Wickremesuriya (US citizen ) who have been appointed to important positions in Government previously. It was not the Central Bank alone which was taken away from the Finance Ministry. All the state banks which were customarily under the Finance Ministry were placed under the Ministry of Public Enterprise. The Prime Minister has explained the thinking behind these changes and these explanations were accepted by the President when he first allocated these functions in terms of his Constitutional powers. To a layman opting for a public auction process in preference to a private placement process can be easily understood on the grounds that it it is more transparent. The fact that Arjuna Mahendran and company abused this process for their advantage does not necessarily mean that the public auction process is flawed. In hindsight the Prime Minister must be regretting his choice of Arjuna Mahendran. While Mahendran had the qualifications for the job, he has not only let the country and the Central Bank down, he has also badly let down a friend who believed and trusted him. His unforgiveable actions have given Ranil Wickremesinghe’s opponents an opportunity to mount an offensive against him. In any event this Government has apprehended two of the main suspects in the case and a warrant has been issued against Mahendran and legal proceedings have been instituted in the matter. This is in stark contrast to the numerous allegations of corruption and other misdemeanours against individuals in the previous regime which are only being investigated now. In fact it is rather thick that those from the Joint Opposition shout themselves hoarse on public platforms against the bond scam despite themselves not being lily white. Many of them have indictments filed against them in various courts while others are being investigated for various allegations of corruption. While the delays in the legal system have ensured that many of the trials against these worthies have not yet started it must be remembered that the Attorney General who exercises a quasi judicial function does not undertake the task of filing indictments lightly. He does so only after a thorough study of the evidence that has been forthcoming from the investigations. When the Attorney General finally decides to file indictment against a suspect what it means is that he has come to a determination that there is a case for the suspect to answer and that there is sufficient evidence against the individual concerned which if proved can result in a conviction by court. The final decision whether the individual concerned is guilty or not is a decision for the courts to make which will do so after hearing the accused. Considering the nature of indictments against several members of the Joint Opposition and the investigations currently being conducted against others their criticisms of the bond scam is hardly the stuff to get excited about. It is also very evident that from the public debate around the bond scam that the criticisms of Ranil Wickremesinghe are often not political in nature but very often malicious and are made by those who have various personal axes to grind. With regard to the allegation in the No Confidence Motion relating to the incidents in Digana and surroundings it is significant that neither the Joint Opposition nor any of the SLFP Ministers supporting the motion have ever expressed a word of condemnation against those who attacked the Muslims in Digana and Amparai. For them these incidents are only an excuse to attack the Government but not a reason to condemn hate speech and violence against the Muslims. Ministers Susil Premajayantha, S. B Dissanayake, Lakshman Yapa Abeywardene and Dilan Perera have all said that the SLFP will support the No Confidence Motion while at the same time stating that the SLFP Central Committee will take the final decision. By jumping the gun and taking a public position they have compromised the President as well as the other SLFPers. The strategy of the Joint Opposition and SLFP Ministerial sympathizers of the Joint Opposition is very clear. It is first to separate the UNP from the SLFP in the Government and isolate President Maithripala Sirisena. They will then be able to derail the Government from the Yahapalana objectives and achieve what they could not achieve through the Presidential Election of January 8, 2015. President Maithripala Sirisena must realize that his pledges which he promised the people can only be achieved in alliance with the UNP which can shield him from those waiting to prevent him from fulfilling them. It is therefore incumbent that he give directions to his Parliamentarians to defeat the No Confidence motion against the Prime Minister. Due to fortuitious circumstances the electronic voting system in Parliament has suffered some glitches. As a result the vote on the No Confidence motion will be taken by each MP being called by name to cast his vote. As each MP gets up to voice his or her stand the whole country will be able to judge the integrity of its representatives and whether they will act in the national interest or on some personal or political agenda. April 4, 2018 will indeed prove to be a litmus test on the character and quality of our polity. Crisis In The UNP, Whence It Came, Whither It Goes? Javid! yes the government is Neither UNP nor SLFP. It is a combination of Fish,Fowl And Vegetable’ The vegetable being TNA. The combined taste of it was neither sweet nor sour nor hot. All these parties were only keen in getting the best for themselves and not for the people. All what the people got is nothing but Blood/Tears and Sweat..
K. Anaga – “All what the people got is nothing but Blood/Tears and Sweat…” It will be much more when Medamulana Meeharaka and cronies get back on the saddle! May God save Sri Lanka. YOur article proves the chracter of you. YOu were part of the Friday forum. Following seventy years of political football, the MR team, MS team and RW team have reached the semi-finals. We now have a match between MR team and combined MS/RW teams. MS/RW team must learn to play as a team or forfeit the game. In the melee the rules on corruption/nepotism are being taken off. Among those who have been appointed to important positions in Government previously, you may include Dr.PALITHA KOHONA (Australian citizen) who was Sri Lanka’s Permanent Rep. to the UN. I do not know how far you have followed the political systems of other countries. Everybody understand that Ranil engaged in a humongous financial fraud and the whole govt including the President Maithripala sirisena dragged it for three and half years. OVer 40 MPs are involved, former Finance minister is not yet arrested, the foot note gang is doing well. some are supposed to have added houses to their asst lists. Ranil als clarified instead of facng questions. Sp, Tell how you can validate argument. It i looks flawed every where. You just want to your wish’s fulfilled. IT looks Faizer Musthapa is not from the your group of Muslims. Otherwise, all the muslims, all the Tamils and christians are fro Ranil. Because, they all have a wish list. We need to separate all the buddhists who voted for Ranil. One thing is RajithaSenarathne, Mangal aSamaraweera, Ranil and CBK like politicians are talking for Tamils and muslims but they are looking for or living on Tamil and Muslims votes. when did Muslim politicians talk about sinhala -buddhist grievences. I have seen how HAkeem had been arrogant infront of the Dalada Maaligaawa. some one should have beaten him for what he did. Another apologist of the Yahapal stimk.